In our continuing look at awesome stuff that comes out of Japan, we heard about the Smabow; the baseball cap with a camera holder on the front. 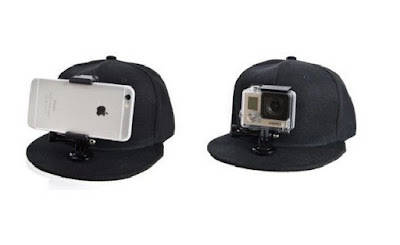 If you thought the Google Glass was a bit too conspicuous, prepare for new levels of head-based idiocy. What an inspiring video! 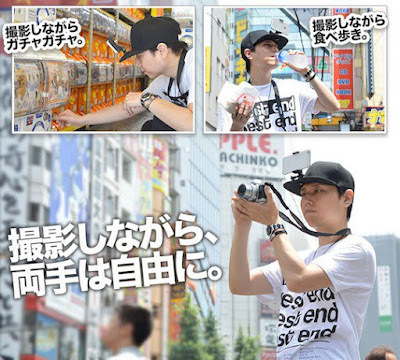 With Smabow you can walk down a street in Tokyo before buying a toy in a plastic ball. Oh, these are special times indeed! Jokes aside, the Smabow with a mount for an action cam could actually be useful, for skater types and vloggers, but sticking your whole smartphone up there? Nah. Each to their own. Hang on, what is the guy at the bottom of the pic above doing? He's recording himself taking a photo. Again, these are very special times. Get yours at www.japantrendshop.com Or don't, whatever.